Theresa's Mixed Nuts: You're Going To Hollywooood! Every time I think of Hollywood, I hear Randy Jackson yelling, "You're Going to Hollywooooood!" 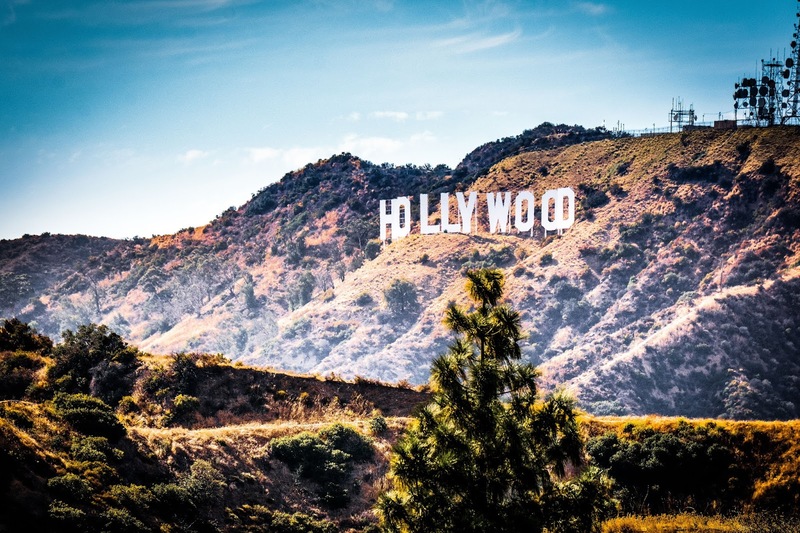 Of course, we couldn't go to California without spending a day doing the most touristy thing you can do there, and that's head out to Los Angeles and Hollywood for a little exploring. 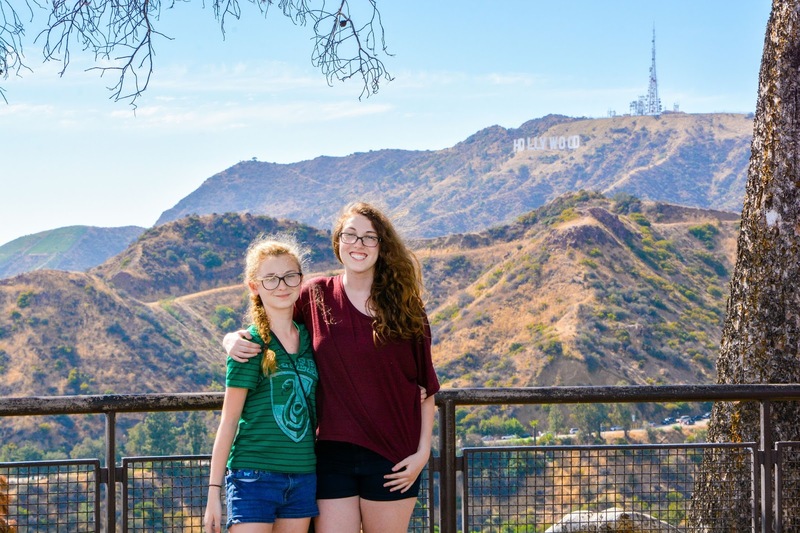 Our first stop was to see the iconic Hollywood sign, but we made the mistake of driving up to the Griffith Observatory where it was packed with almost no parking. We didn't know that there were many street views where you could avoid the traffic and not have to pay for parking, but eventually we found a spot and shelled out about $5 for parking fees. Live and learn. 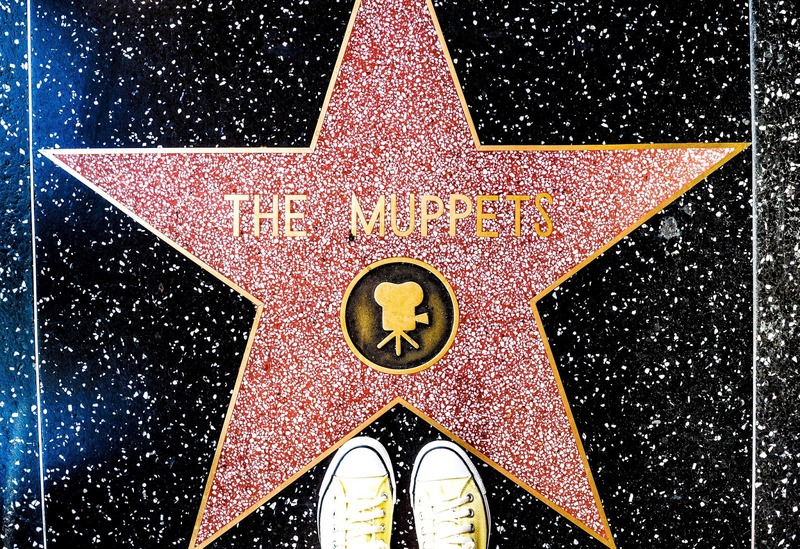 Afterwards, we took a stroll down the Walk of Fame. I didn't realize there were so many sidewalks to cover looking for our favorite artists, but we did stumble upon a few that we recognized. As we were walking, we detoured to check out Capitol Records where we also spotted The Beatles Hollywood Stars right out front. 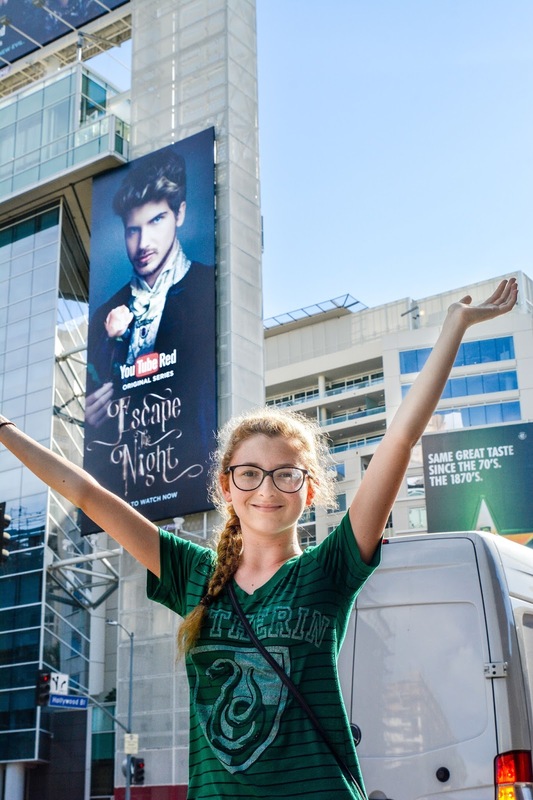 Allison really didn't care too much for the Walk of Stars because she was only interested in finding a Joey Graceffa billboard promoting his new YouTube series. 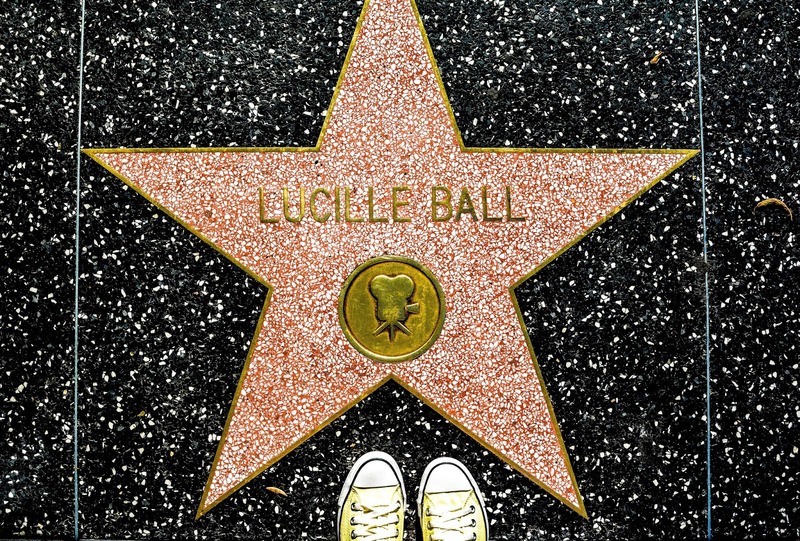 She almost walked right by this one until I told her to look up, and then her Hollywood bucket list was complete. We drove by Pink's Hot Dog Stand but decided not to stop for lunch since they do have one at Cedar Point. 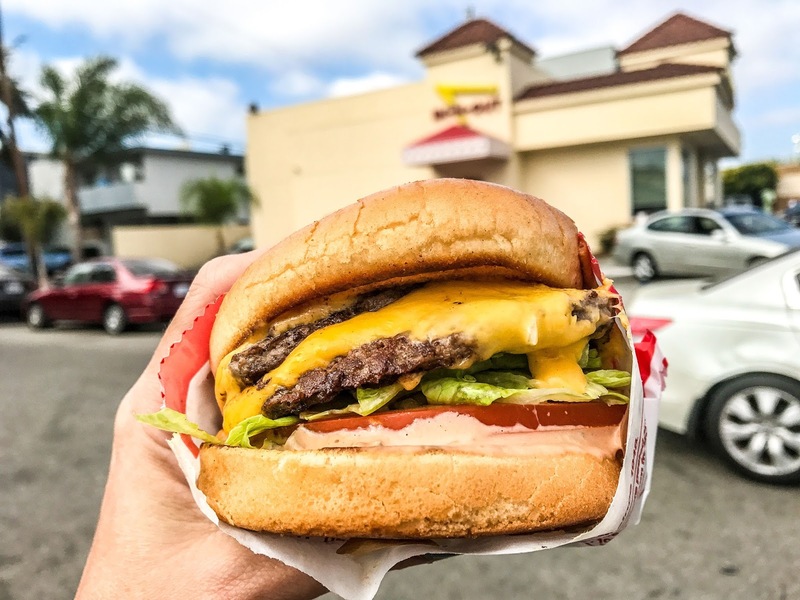 We figured they probably didn't taste any different than the ones we could get at the amusement park, so Jason made a pit stop at In-N-Out for a Double Double instead. For me, the highlight of Los Angeles and Hollywood was thrift store shopping. We stopped at about 10 different Goodwill stores and bought so many designer clothes at dirt cheap prices, we had to buy another suitcase to bring it all home in. There were a few things that we missed, like the Urban Lights at the LA County Museum and Yayoi Kusama's Infinity Mirror Room, but all in all, it was fun being total tourists out in L.A. and I'm glad we got to finally scratch the area off of our travel bucket list. 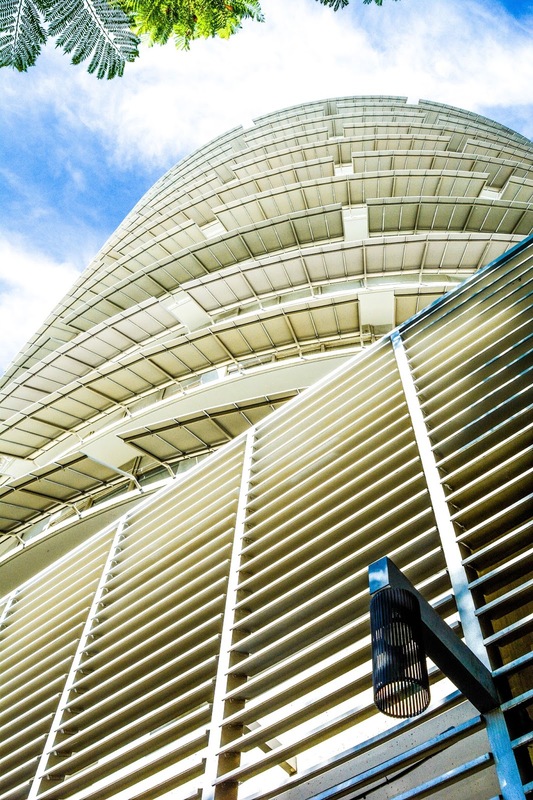 What's one tourist trap destination that's on your travel bucket list? Cannot believe peoples will stand in line for a piece of minced animal carcass :) A few weeks ago with had massive lines in Belgrade with thousands standing in queues and we was wondering what is they waiting for ... imagine the surprise when it was revealed national theatre is selling seasonal tickets for their plays on a January discount. I never would have guessed it. 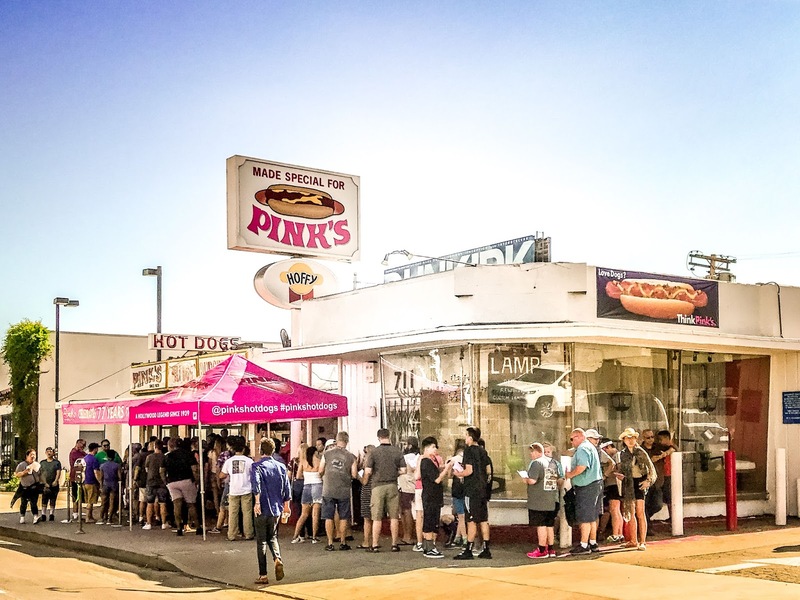 I believe that Pink's line is always that long. In-N-Out was a long line too, but they were organized and were were out of there in under 5 minutes. I don't understand why it's such a west coast hot spot because Jason said the burger wasn't anything special and I didn't think the fries were fabulous either. It's crazy what people will wait in long lines for. We like to drive by the electronic stores the day before Black Friday and gawk at all of the people sleeping in their tents waiting for discounted deals. I'll pay a few bucks more and sleep in my warm bed, thanks. we used to stand in lines for flour, oil and bread during international embargo on my country and then also during American bombing which lasted for three months. It was kinda like the WW1 and WW2 returned. That is why we, as a nation, have kinda learned to stand in lines. Thankfully, I do most of my banking online and haven't set foot in an actual bank in a really long time. I remember how poor we were growing up and we'd wait in line for government cheese. I swear, it was an all day adventure waiting around for some cheese. Best cheese I've ever had, but those lines... ugh! Never knew there were so many thrift stores there. Don't even know who the guy on the billboard is lol does that mean I'm old? Yeah, I think I'd skip that long arse line. Don't feel bad, I don't really know who he is either. Then again, I don't get into the YouTube "celebrities" so I guess that makes me an old fogy too. How fun! 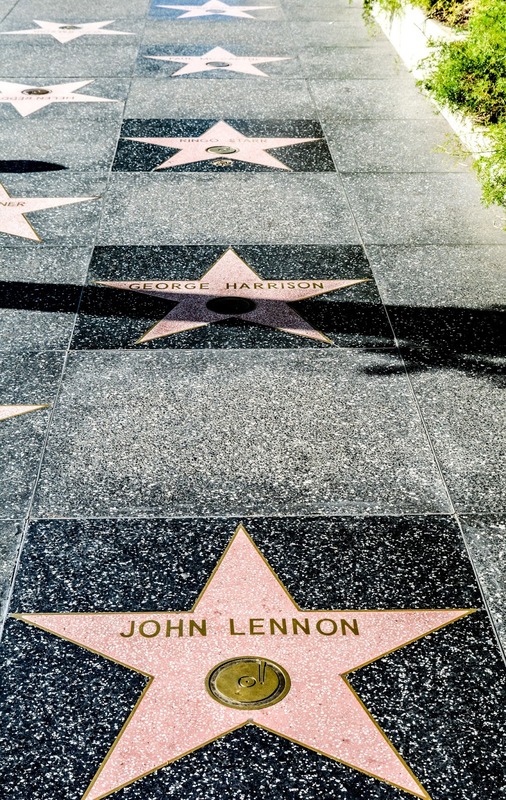 I'd love to get my photo with the John Lennon star! It's just cool because you know all those stars have been there. I love the photo of Allison. It's good her bucket list was completed for that trip. That's what I thought about how cool that some of our favorites were in that exact spot at some point too. I don't get the appeal of the guy, but that's all she talked about wanting to do in L.A. was find that billboard so I'm glad she was about to cross it off her list. She did want to find some black ice cream too, but that was deeper into the city than we were willing to drive. I grew up in California so I've been there a lot. Great pictures. Looks like you all had a great time. What an amazing trip! It sounds like you had a lot of fun. It's crazy to me how long people will stand in line for things when they're in a new area. I'm included in that group! OMG, I am so old! I have no idea who that guy on the billboard is. He must be one of those it kids these days that all the teenyboppers are oohing and aahing over. I remember visiting Hollywood and absolutely loving the experience! My favorite part was pointing out all the Hollywood stars. Looks like you had a really great time too! That was so much fun I have been to LA but never went on the walk of fame. I would not have gotten one of those burgers but they did look amazing. I loved visiting Hollywood. I've been twice! Your pictures are great, as usual. Hollywood is so much fun. I took the kids last year and they loved it so much! What great photos you have from your trip! 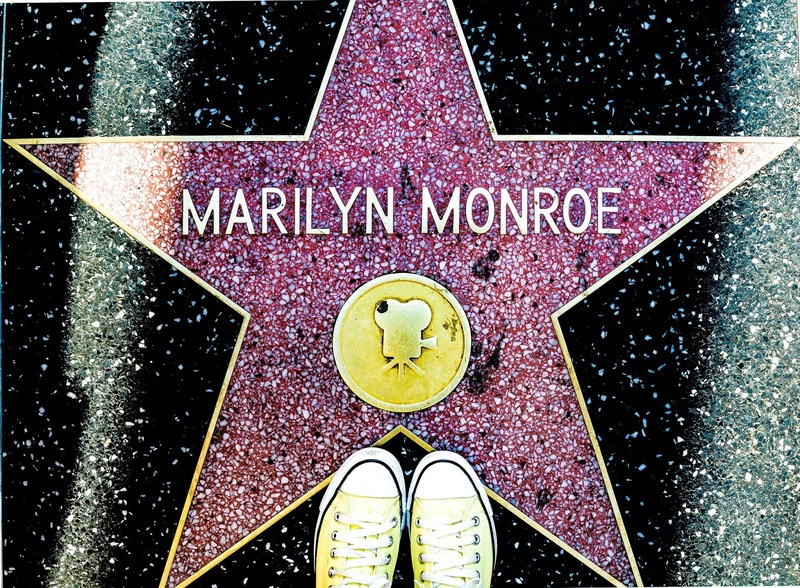 I would love to see the star walk some day. I am going to Hollywood soon. Seeing the stars was such a fun experience. It feels so surreal being where they were! I have never been to Hollywood. It is a dream destination for me and has been in my travel bucket list for the longest time. I would want to be there in the Walk of Fame and have my picture taken with the Hollywood sign in the background. great pictures Theresa and sounds that you had a wonderful time there. Hugs !!! Even though I'm relatively local, I love going to Hollywood to check out all the tourist stops. Minnie Mouse is getting a star on the Walk of Fame next week & I so need to be there. I've never been in such a long time and I'd love to go there with the whole family! I'm sure you guys had a great time there, the smiles say it all! Wow! Awesome photos. On my visit, I didn't get to go many places, hoping to rectify that next time around! Maui, Oahu, Waikiki, Honolulu...or any other 'touristy' Hawaiian spot is on my list. So is Venice, Italy. :) California to thrift? You are brilliant! I'd love to go to Hollywood sometime. I think shopping at the Goodwill in Hollywood would be ton of fun!